One condition I am seeing more of these days is so-called minor brain injuries. These are injuries that do not seem to require hospitilization or in-depth exams of cognitive or neurological function. Often patients are seen briefly in the ER and then sent home with little or no information about what signs and symptoms they need to be aware of that should bring them back to the ER or send them to their own doctor. The trauma can seem minor: a collision on the soccer field, standing up under an open cupboard door; or more major: being hit by a car while crossing the street, a blow to the head from a falling piece of lumber. Minor head injuries do not necessarily create a loss of consciousness. Often the person is well aware of all that is happening and may just stand up, shake themselves off and head home. It is not until some time later, even days, that symptoms start to appear: nausea, fatigue, inability to concentrate, etc. Minor head injuries can be very slow to heal depending on the severity of the damage. It can take years to regain whatever function is possible and many times a deficit will be permanent and accommodations need to be made, eg. working fewer hours or not playing contact sports. This last point is quite important. It has been shown that a series of minor head injuries and/or concussions will increase the risk of, and severity of, brain injury. In my practice I have seen clients of all ages with brain injuries and post-concussion syndrome. From the athletic youngster to the middle aged professional all have difficulty adjusting to this new self. 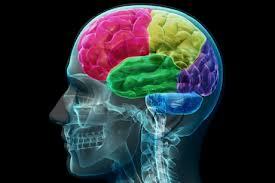 There is a large pychological component to brain injury as the client struggles to be the person they were, functioning at the same level as before the accident. Healing of the brain is possible. It often will involve a number of healing modalities to address the various aspects of the injury. In my practice I use Light Healing to treat the brain itself as well as the body as a whole because it’s not just the brain that was injured. Often there are some structural misalignments that have also occured. These will impact negatively on healing in general and on the brain in particular. When I am healing the brain I use a particular mantra that is specific for neurological damage, silently chanting it directly into the brain tissue and areas of injury. It is very effective not only in helping the brain and nervous system to heal but also to maximize their function as recovery proceeds. Any kind of trauma may split off part of a person’s energy system. It becomes dissociated, much in the same way that a person experiences distancing themself from what is happening to them in a traumatic situation. Usually I see this as a bit of the person’s energy hanging out of their body. For example, one of my clients who was hit by a car when crossing the street had some of her energy system hanging out the top of her head. More extreme cases have involved energy being entirely outside and disconnected from, the body. In both cases the first stage of healing is to bring the energy back into the body and reintegrate it into the person’s energy system as a whole. Often this results in the client saying that they have more energy and mental clarity. Stagnant or blocked energy in the body is another result of trauma. This must be resolved for the body to heal as completely as possible. I use osteopathic techniques in combination with other healing practices to unblock and release this energy. Minor head injuries are often dismissed or overlooked. A long period of time can pass before a person, or someone close to them, start questioning whether a brain injury has occurred. Like any injury, the sooner it is treated the higher the potential healing.